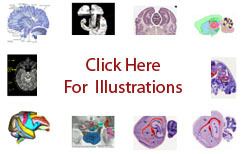 The term suprachiasmatic nucleus refers to a group of cells in the anterior hypothalamic region of the hypothalamus, which is demonstrated by Nissl stain in the human ( Saper-2012 ), macaque ( Paxinos-2009a ), rat ( Swanson-2004 ) and mouse ( Dong-2004 ).It is located in the wall of the third ventricle at the base of the optic recess and dorsal to the optic chiasm. Least prominent in the human ( Saper-2012 ), it is divided into the shell of the suprachiasmatic nucleus and the core of the suprachiasmatic nucleus. It is distinct from the suprachiasmatic preoptic nucleus, which lies rostral to it in the rat ( Swanson-2004 ) and the mouse ( Dong-2004 ). Functionally, as part of the behavioral state system ( Swanson-2004 ), it is involved in the maintenance of circadian rhythms ( Saper-2012 ).